The iTunes Error 9 or iPhone Error 9 is an error code when you try to update firmware or restore the system on IOS devices via iTunes. 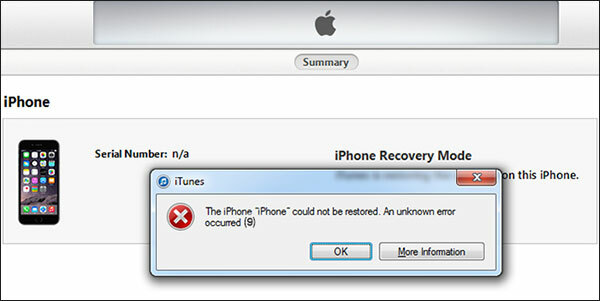 When iTunes Error 9 occurs, it shows a message prompt saying, "The iPhone could not be restored, an unknown error occurred (9)". It’s not a common error like Error 3149, 4013, 4014 etc. and when this error occurs everything will stop and you won’t be able to do anything in your iPhone. There are several reasons which cause iPhone Error 9 and there are different methods that you can apply to solve this problem. iSkysoft Toolbox - iOS System Recovery is the safest way to fix iOS system issues with simple clicks. 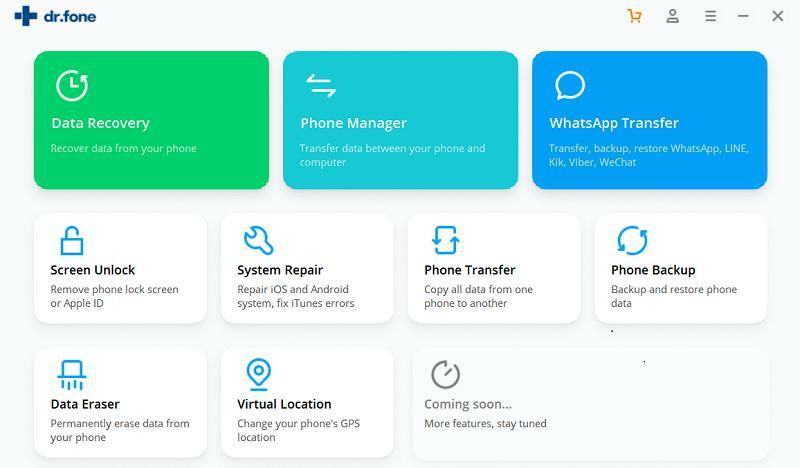 This software is developed to help the users on putting their iPhone, iPad and iPod touch back to a completely normal status. It not only fixes iPhone Error 9, but also repair iPhone stucking in Recovery Mode, DFU Mode, continuous start, etc. Almost all the abnormal problems of iOS system without breaking a sweat. 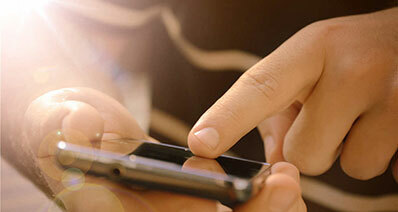 This tool is the easiest way to repair iPhone, iPad and iPod touch system problems. You won’t have to know any extra computer technique to use this software. 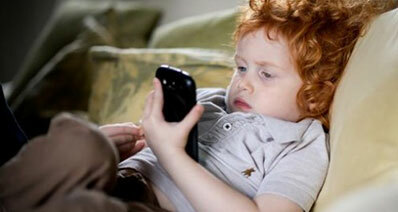 By following some easy steps, you can solve almost all kinds of system problems of your iPhone. It’s the safest tool that can solve your iOS device problems without causing any data loss. This tool also supports a variety of iOS devices and OS versions. Get iSkysoft Toolbox on your computer. By using a USB cable, connect your iOS device with your computer. Then, launch iSkysoft toolbox and click “System Recovery”. 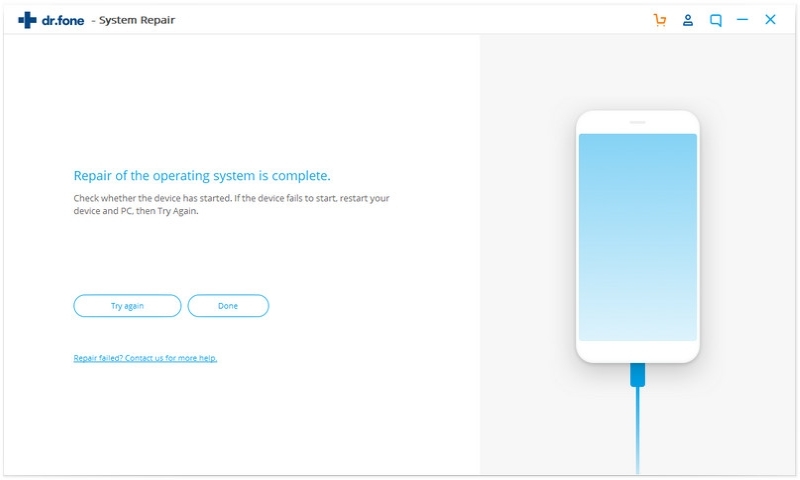 After connecting the device, click “Start”. 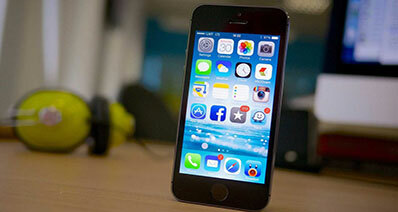 By detecting your iOS device model the software will offer you the last firmware for it. Confirm whether the information for your iOS device is right or not and then, click “Download” to download the firmware for your iOS device. 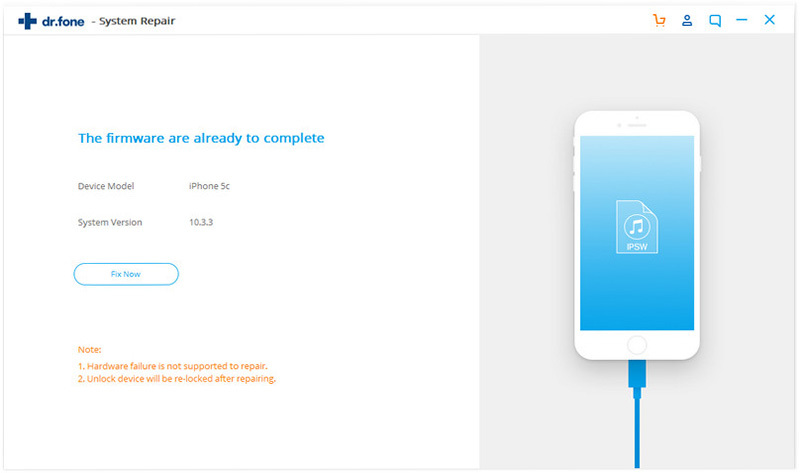 The software will begin repairing your iPhone, iPad or iPod touch automatically after the download process is finished. It will tell you when the whole process is complete. If the latest version of iTunes is not installed on your computer, update it to the latest version. 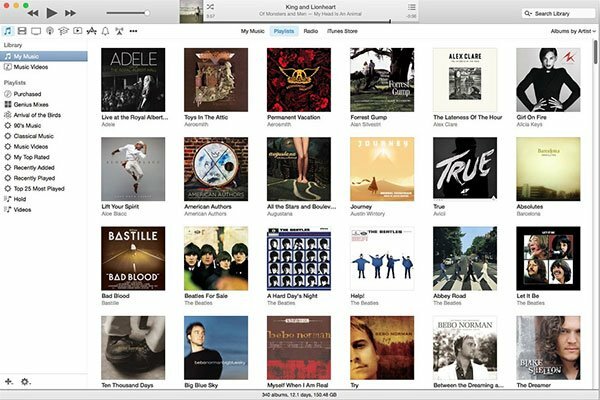 The iTunes error 9 or iPhone error 9 can be caused by the outdated version of iTunes. For Mac: Launch iTunes. On the top menu bar of your computer, click on iTunes > Check for Updates. 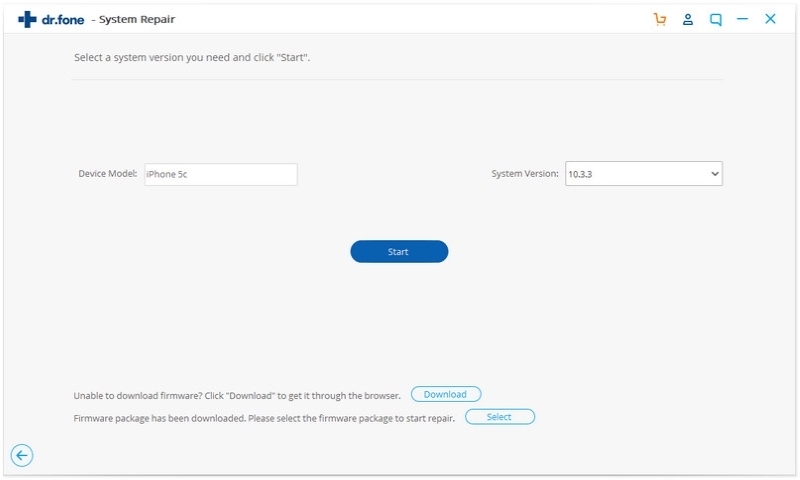 Follow the next steps to install updated version. For Windows PC: Launch iTunes. On the menu bar, enable Help > Check for Updates. If you can't see it, click on (CTRL + B) keys. Follow the next simple instructions to update. 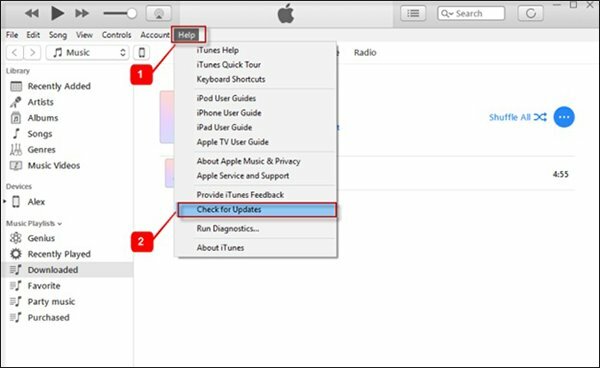 You can try fixing iTunes Error 9 or iPhone Error 9 by hard resetting your device. A simple reset can fix this error without causing you any more trouble. Note: Hard reset iPhone will cause data loss. Unless you want to lose your data, you can skip this method. Otherwise, please make sure you have backed up your data on iPhone before trying it. Press and hold the power button and home button of your iOS device. After 10 seconds when the white Apple logo appears, release the buttons. Then you can check if the iPhone Error 9 still exists or not. Press and hold the power button and volume down button of you iOS device. Check if the iPhone Error 9 still exists or not. Sometimes the USB cable can be faulty or low quality. You need to avoid this type of cables and use the good ones only. Make sure that you are using the cable which you got with your iPhone. Or buy a new original USB cable if the old one is not working. 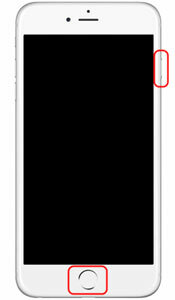 Also ensure that the connection is not loose and the cable is properly connected to both your iOS device and computer. Change the USB port and plug it into another port of your computer. You need to check if the security software on your computer is maybe blocking communication to Apple’s servers. The iTunes error 9 can come up if the security software is preventing the connection between iTunes and Apple server. Make sure if iTunes is not blocked or included in the exceptions list of your anti-virus software. Try to fix or change your firewall settings. If you have any virtualization apps like VMWare or Parallels, close them. Check your security software is up to date. A basic solution that you can try is using another computer. If you are facing iTunes error 9 in a computer, you can change it and try using iTunes in a different computer. If it solves your problem that means you have issues in your computer that needs to be checked. It can be a hardware or software problem of your computer. Maybe a binary code in your registry has been altered. In that case, you will need to perform a complete computer system recovery. After checking all these easy solutions, the best one among them is iSkysoft Toolbox - iOS System Recovery. This software can help you to fix iTunes error 9 in a simple method without losing any data. 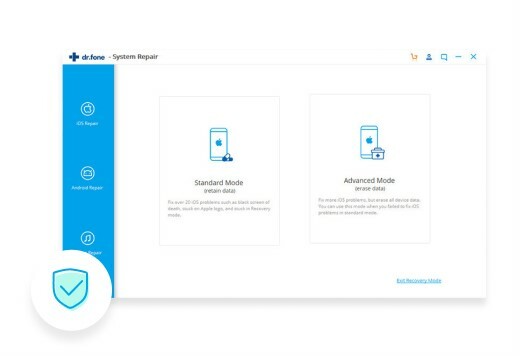 iSkysoft Toolbox - iOS System Recovery will fix all kinds of system errors in your iOS device and in a few clicks, your device will get back to normal. All you have to do is follow the mentioned procedure in this post. This unique and special software will give you the best iOS system recovery experience you have ever had in life. You can download it from the buttons below.